Charleston x – frame stool. 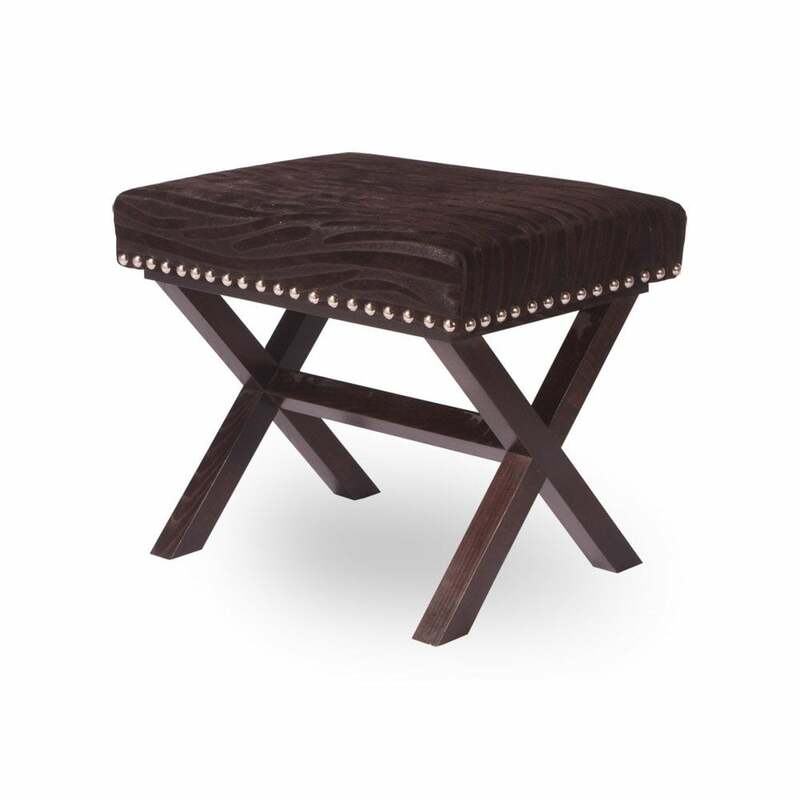 Modern wood x framed stool with upholstered leather top, shown in brown stripe hair on hide with nickel stud detailing. Alternative finishes available and as with all Simpsons pieces, this stool has been handmade in England.